← Life in the smoggy freezer? So in addition to Supernova Condensate, I’m now also an author on on the collaborative Space Tweep Society blog. 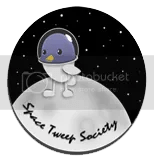 A collection of space enthusiasts from Twitter (from all manner of backgrounds). Because, as the tagline says, sometimes 140 characters just isn’t enough. To be honest, it feels a little weird posting to a blog that isn’t my own. Plus, this all necessitated finding my way around WordPress (which is one blogging platform I haven’t used before). So I have my first post there now. Please do feel free to stop by and have a read. And don’t worry. I’m certainly not going to be posting here any less. Unless I have to do academic stuff like… you know, write papers and design posters… Stuff.